The title of this blog, A politics of care, concern and an economy of hospitality, longings of a good heart emerges out my reflections on the passover and a book entitled, The Good Heart, A Buddhist Perspective on the Teachings of Jesus, by His Holiness the Dalai Lama, and The Soul of Politics by Jim Wallis. It also emerges out of living life engaged in a society where the norms are grounded in exploitation and rejection, where who I am is a means of profit and political gain. One day while walking the streets of Berkeley I encountered a man who happened to be without a home. He looked to be sincere as he asked for money for food. Many people had passed him by, looking away. They were seemingly walking in a state of denial, saying, no, don’t acknowledge this human being or his plight. Seeing this I gave him a few dollars to help him out. Months later while on BART a man came up to me and said, “You don’t remember me but you gave me a few dollars when I was down and out. Thank you! He was now dressed in a nice suit and tie going to work and no longer homeless. Reflecting on this chance encounter I am reminded that care and concern are nourishment for the heart and soul and it is through care and concern that we make a difference in ourselves, our families, jobs, communities, our economy and politics. That said, I rise each day beginning in prayer. I seek a good heart with a large helping of grace and mercy so that I would live openly a revolutionary faith. Moving through the day I meet people and communities who have significant needs. The needs are deep, dynamic, diverse, at times hidden in the shadows and at times complex, they are inclusive, impacting every level of U.S. American society. Communities of God’s people with HIV/Aids, cancer, challenges of mental health and various concerns of gender, sexuality, race, economy and politics. These communities exist within a very narrow mindset within contemporary U.S. culture. They exist in a context of othering which controls discourses of identity, economy and the political. Within this unfortunate sociocultural climate, care and concern become a healing balm with revolutionary implications. 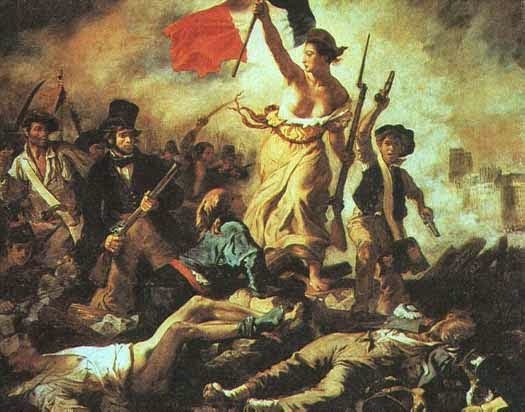 Historically, care and concern have been the origin of many revolutions ranging from the French revolution (1789 - 1799) to the Iranian revolution (1978). These revolutions emerge as the power structures in place dismiss those who identify as the other, who deny any notion of hospitality, i.e. access to those structures which support the various endeavors of human sustainability. Hospitality, particularly within a discourse on economy invites a question of attention. From a social justice perspective, care and concern within a progressive conversation regarding attention becomes significant policy considerations regarding the distribution of wealth and resources. I suggest here that this is a critical witness towards the transformation of human sustainability within the principles of revolutionary faith. It is about structures of economy and politics in regard to those who have been disenfranchised and marginalized. This is a significant contrast with regard to the structures of capitalism which advocate for an American gilded age where a few oligarchs reap profits as factors of credibility decreed by a supreme court on the backs of millions upon millions of low income non union wage workers. What I mean is that capitalism, while on the surface seems liberating and ultra individualistic, actually has significant challenges regarding the usage of our neighbor as a means to survival and capital; it’s pretty selfish as practiced by some in the U.S. American context today. Community within a context of capitalism runs the real risk of becoming a place of profit and ultimately abusive to the soul. That said, as a society, we invest a significant amount of time and money in systems that enable us to live in states of denial, in a peculiar unconsciousness that protects us from the storms and struggles of life, to limit our vulnerability to the fullness of life and as such to those deeper realities of consciousness, even the experience of existence as it is. We necessarily minimize and restrict care and concern, and advocate, by a narrowness of mind, for a cave mentality, scared to walk into the sunlight of liberation. For as much as this mentality frames a discourse on so called U.S. American progress care and concern are a means to say, come out, come, wherever you are. In closing this initial blog post of The Community of Revolutionary Faith advocates for an economy of hospitality grounded in the care and concerns of those on the margins, the disenfranchised, the impoverished and those that feel that no one cares or listens. From a talk given by Adyashanti: The Inner Revolution of Spiritual Awakening, October 22, 2010 accessed April 27, 2014. Listening and reading various news media and their treatment of the various groups such as white supremacist and other groups who embrace rhetorical and sometimes violent regimes of desire I find the word nostalgia, at times, to be very much appropriate. Reflecting on the word "nostalgia" I find a word that engenders intimate memories of better times, the need for the good old days. According to Webster's, nostalgia is pleasure and sadness that is caused by remembering something from the past and wishing that you could experience it again. Particularly in the U.S., comments regarding black people being better off in slavery, that somehow there is a certain longing, even a strange admiration for a violent economic system based on the dehumanization of a people, the repercussions of which they still experience today at various levels, while absurd, are nevertheless longed for by those who benefited from the regime. Clearly the people who make these statements long for a day when the world was about them and their people. Now considering the various discourses in the media regarding culture and society, i.e. gun control, an identity regime in crisis, the decline of unions and the reemergence of the gilded age, to name a few, and the implications of these discourses within a shifting demographics, nostalgia becomes a mediation point, for some, to engage an emerging civilization with a different sense of being. A sense of being not located in definitions established by one people, or one continent couched in an empire of need but informed by articulations of wonderment. A civilization where, hopefully, one persons liberation will not be at the expense of another persons liberation which seems to be the underlying question regarding nostalgia. For a moment let me explain articulations of wonderment. Articulations of wonderment emerge as I seek to experience myself and other people outside of definitions established by white supremacy and its various modes of colonization. Each person must be encountered as a divine presence embodied with God's gifts in the earth realm. In this sense it is intimately engaged in care of the soul. Not for the sake of exploitation, exhibition or labeling for economic intent but simply put, the person, the very person you may or may not like or understand is God's presence on earth. Of course, because so much of who we are is invested in the limitations established to maintain a plantation culture, the idea of articulations of wonderment may seem somewhat out of bounds, even "pie in the sky" yet history has shown over and over again that people live for, long for and die for liberation, to be free, to express their articulation of wonderment. How many revolutions have been fought for just this reality. So then, articulations of wonderment is very much in line, at least to me, with an arch that bends towards justice. That said, articulations of wonderment is a liberative movement of political import and as such cannot be separated from political realities. So to, nostalgia, at least in this writers mind, cannot be separated from the political. Conservative elements such as the Tea Party, the redefinition of race by a Republican party that is rapidly loosing its base and various laws such as stand your ground, stop and frisk, and a broken immigration system, are all conversations within the politics of nostalgia. As an activist and an emerging transgender scholar I rarely hear nostalgia as part of a conversation within a discourse of transformation. Going more in depth on this topic, I am reminded of TV shows such as "Happy Days", "Good Times", and "All in the Family", The Jeffersons", the re-emergence of pre-cable network programming, which I suggest, at least to me, rest in a desire for nostalgia, engaging challenges of joy and lament in the midst of a changing world of globalization. For those who might remember "All in the Family" or the Jeffersons, Its like Archie Bunker or George Jefferson saying, "Stop the world I need to get off". Now I consider nostalgia as a part of being human. That said, how do we utilize nostalgia as a means to heal, to create a space that embodies the grace and mercy necessary. No easy or simple answers here but a recognition of the importance of nostalgia within a conversation of transformation. Language has the greatest potential to make us aware of context. As one speaks, their context becomes clear and heaven help the poor soul that misses the God within the sacred witness. I struggle, daily, to communicate a language of inclusivity, one not grounded in a plantation culture. Within this challenging , albeit difficult context, I, like many others, long to make my points clear, to communicate who I am in a world of people and communities that experience life differently, who experience me through a lens constructed by and for the oppressor. It is a language of the binary, i.e. female or male, a language of economy promulgated in support of a normative culture, regardless of how they themselves identify. Particularly as a tall, black transgender woman socialized as male I find language, at times, challenging as those around me refer to me, even by mistake as he, him, etc., and this regardless of my presentation. Seemingly, the only language known is the language of the plantation owner, a representation of white supremacy. That said, I find that language, and I include listening in my engagement of language can be, if critically engaged, a window into the joy, sorrow, pain, anger and grief experienced by the person who longs to be heard. It is a window into their soul. Communication must be taken as a fine art. Hearing various speakers on the radio, television and at public gatherings I listen intently with an ear, hopefully reformed, and attuned to a postcolonial perspective. Listening from a postcolonial perspective is about hearing differently than taught at the feet of my sixth grade teacher and a curriculum which taught me what to hear and not to hear, words and phrases approved and not approved, a curriculum which supported the visions of white America. It is about listening intimately to the context of the speaker as well as the speaker themselves. It is taking each word, phrase, symbol and their color and hue as they come without preconceived notions or judgment. The goal is to hear, to listen to the speaker and possibly experience transformation. Hearing and listening from a postcolonial perspective as it pertains to hearing and listening then is a process of decolonization. Decolonizing hearing and therefore listening is crucial to a project that seeks to be a ground of a different legitimacy. Reflecting further on this topic, those of us who embrace a postcolonial perspective of hearing and listening are called to listen for the soul and the heart of the person, to become intimate with the speaker. This is necessarily opposed to hearing and listening as a structural event where the speaker may be detached as a content of authority from the audience. I suggest that detachment occurs because hearing and listening, within the normative culture, engages the speaker and the listener through an identity complex which negates the humanity of the person speaking or listening. What I mean is that when we use constructs of identity as a means to speak, hear and listen we deny the authentic voice seeking to be heard. This was particularly evident as I listened to an historic black transgender activist tell her story using her own words to describe her experiences of living as a black transgender women engaging a culture of rejection. Her words, for some, were colorful and enlightening. For others, her words were inflammatory, derogatory and unsettling. Through her words she revealed years of engaging a culture of rejection. A culture of rejection is one that systemically maintains laws, regulations and codes as sacred by elements of Church and society that reject the humanity of the person who doesn't mirror the normative image codified by political, economic, social and religious regimes. These rules then undergird a particular mindset present within certain communities which then exhibit a narrative of a modern day watch dog of the plantation class. Particularly as a black transgender woman I have experienced this reality as certain black people I encounter become, at times, the main purveyors of the very rules that have historically dehumanized black people for over 300 years. This dehumanization, while present in the black community, goes far beyond one race or class or culture. It goes to the very core of the American citizen. Regardless of how a person identifies, whether a transgender male or female, race or ethnicity, lesbian, gay, bisexual or queer, wherever you are on the spectrum of human identity, it is there, always lurking in the shadows ready to leap and pounce on the unsuspecting. This was the case as one person got up and proceeded to criticize her for speaking her truth in her words. In fact there were a few comments about her language. As I listened to these comments I heard normative ideas of decency and etiquette, which, for me, became realities of a white subculture. From my perspective then the comments were grounded in a longing for domestication as produced by and for white supremacy reminiscent of a reading of Anne McClintock’s book, Imperial Leather: Race, Gender and Sexuality in the Colonial Contest. I was somewhat surprised, disappointed and as I look back upon the affair somewhat embarrassed at this occurrence because most or all of us were students, faculty or alumni of the institution. How, at a supposed progressive seminary, where issues of context and identity are so central to religious leadership, did this occur? Much more work needs to be done!!! As a way to remedy this unfortunate affair I suggest that a postcolonial perspective be more embraced by the seminary community, students and faculty. I suggest here that four important questions are significant in this endeavor, (1) who is speaking? (2) what is being said? (3) what am I hearing? and (4) what am I hearing with? These questions seek to break open a postcolonial reality of hearing and listening. When deployed the community and the institution will be functioning from a positive project where all people and their narratives are lifted up. Of course there are many answers to questions of hearing and listening this is just one such possibility.